In the second installment of The Orchard’s in-office performance series The Orchard Presents, we had the pleasure of hosting singer-songwriter sisters The Watson Twins. Raised in Louisville and based in Nashville, identical twin sisters Chandra and Leigh Watson have always blended musical genres to tell their story. The two have performed for some of the best in the industry, with a resume including Kings of Leon, Vanessa Carlton, Cee Lo Green, Jenny Lewis, Billy Bragg, Willie Nelson and many more, and have written and toured around several solo albums. However, the singers’ new LP “DUO” marks their first time co-writing all material, singing all parts together and creating one singular voice. We couldn’t agree more, it sounds really good. 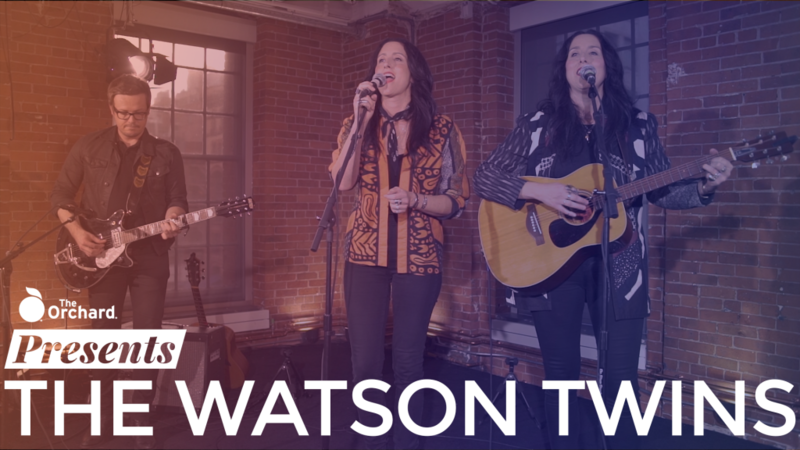 Watch The Watson Twins’ full session below and listen to their new album DUO here.